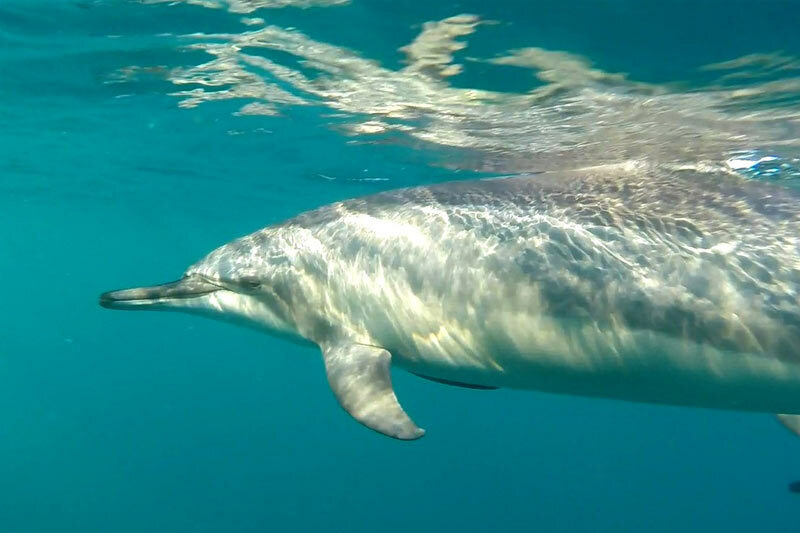 All year round in Mauritius, nature lovers can enjoy the most exciting experience in Black River or Tamarin Bay: swimming with the dolphins! 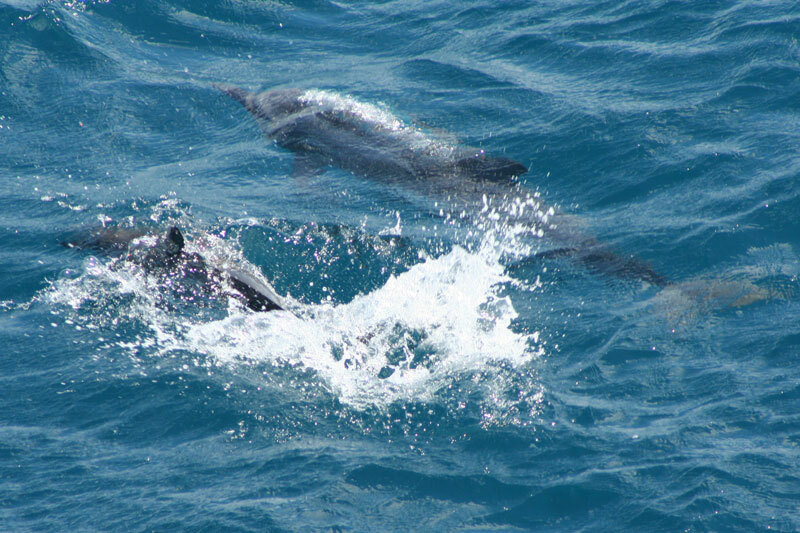 Both Spinners and Bottlenose dolphins are seen playing in the bay in the early morning before going back to the open sea. Get onboard our speedboat for this encounter of a lifetime. Our speedboat seats from 6 to 8 persons and you can either join a group or rent it privately. You will have all the snorkelling equipment, including masks, fins, and snorkels available on board. All around the year, in Black River or Tamarin Bay, dolphin watching can be done early in the morning. Join us for an exciting tour and a wonderful cruise onboard our catamaran, the “Madiana”, from 9:00 a.m. to 3:30 p.m. This day cruise starts with a magical encounter with the dolphins, followed by snorkelling outside the beautiful reef of La Preneuse. From there, we will sail towards the Morne’s mind-blowing turquoise lagoon where we will stop for a fabulous, mouthwatering, seafood BBQ lunch. 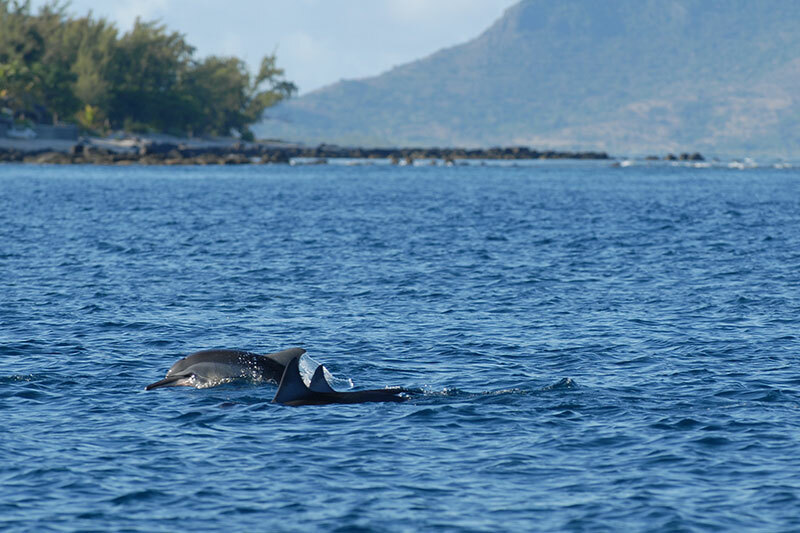 Two kinds of dolphins can be observed in Mauritian waters: the Spinner and the Bottlenose. 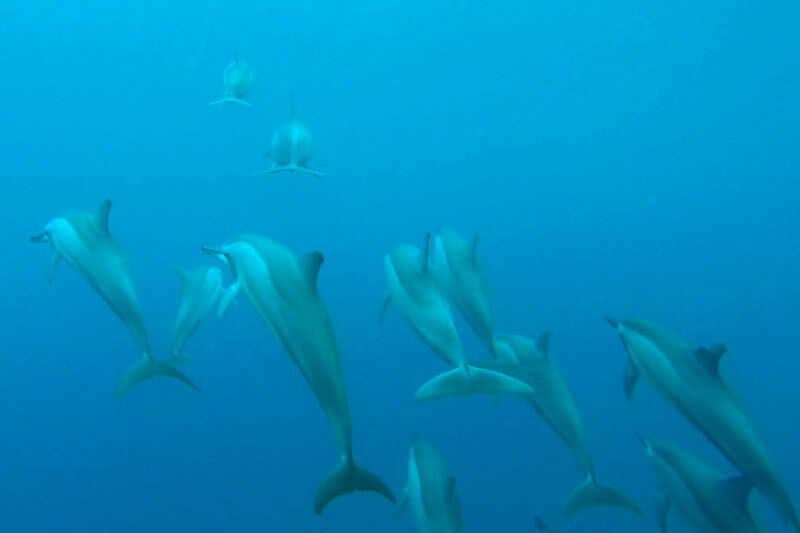 The peers do not like to share the same spot and you will never see them together: If the Spinners are around and the Bottlenose dolphins arrive, the Spinners will leave the bay, heading to the open sea. 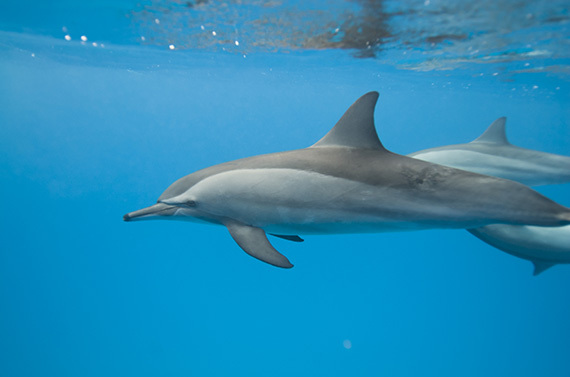 Being one of the most common species, the Bottlenose dolphin is known all over the world. 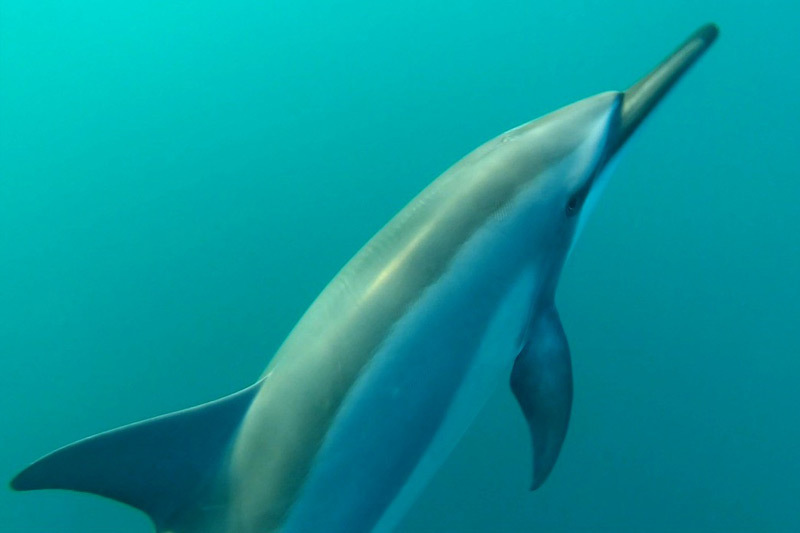 It is also the biggest amongst the different species of dolphins with a weight of up to 650 kg and a length of up to 12 feet! They are famous for their intelligence, very gentle and willing to approach humans. In Mauritius, they live in groups of 2 to 15 members and can be observed early in the morning until 11:30 a.m. 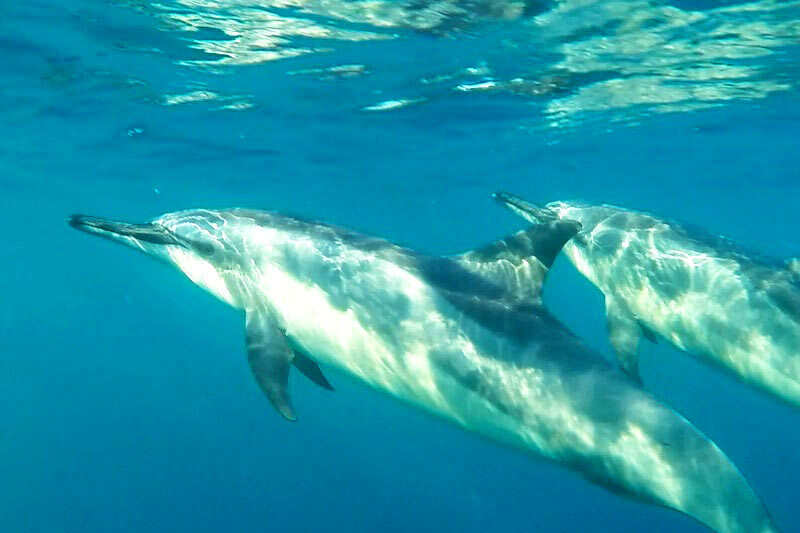 Sometimes, with a bit of luck, you may see them in the afternoon, swimming in the crystal clear lagoon, in 1.5 meters depth water. 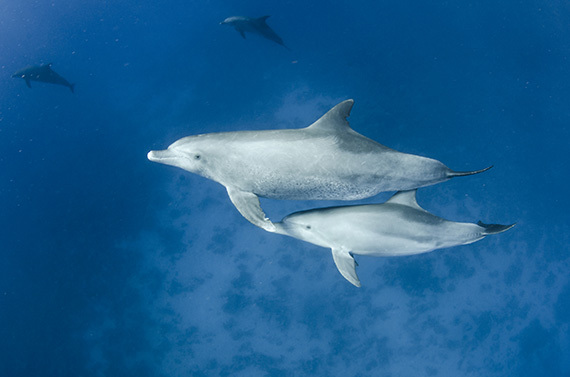 The most playful of the dolphins, the Spinners, live in large groups of up to 100 members. Much smaller than their fellow peers, the Bottlenose, they grow up to 80 kg and 8 feet. Famous for being very active, they play together as the morning is their time to train the calves which are generally about 1 feet long and weigh not more than 3 kg. 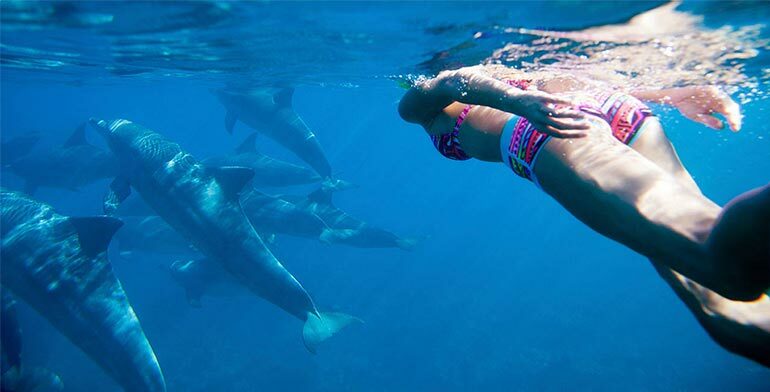 During the winter season in Mauritius (May to October), the swim with dolphins is from 07:00 am until 9:00 am, while in summer, the departure is earlier, as from 06:00 am. These early morning hours are important to spend the maximum time with them. 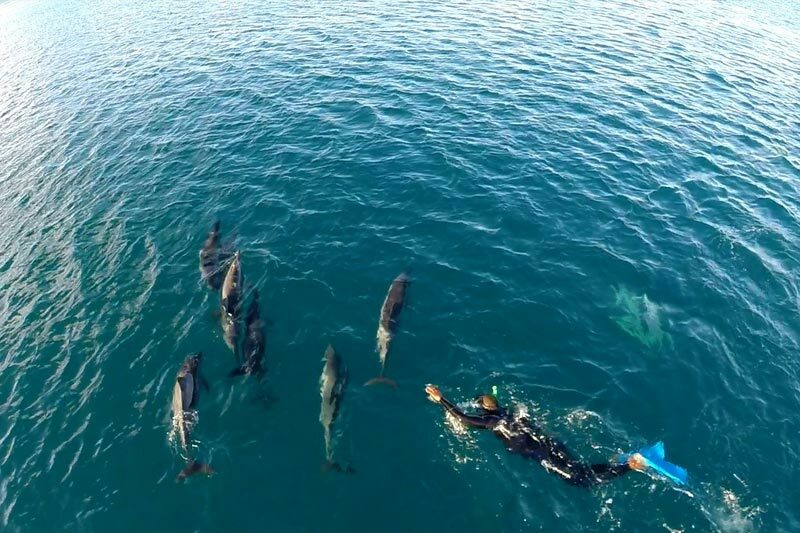 There is a large number of boats grouped together for swimming with dolphins after 8:30 am, which is precisely why we choose to make the visit before the crowd, for safety reasons. 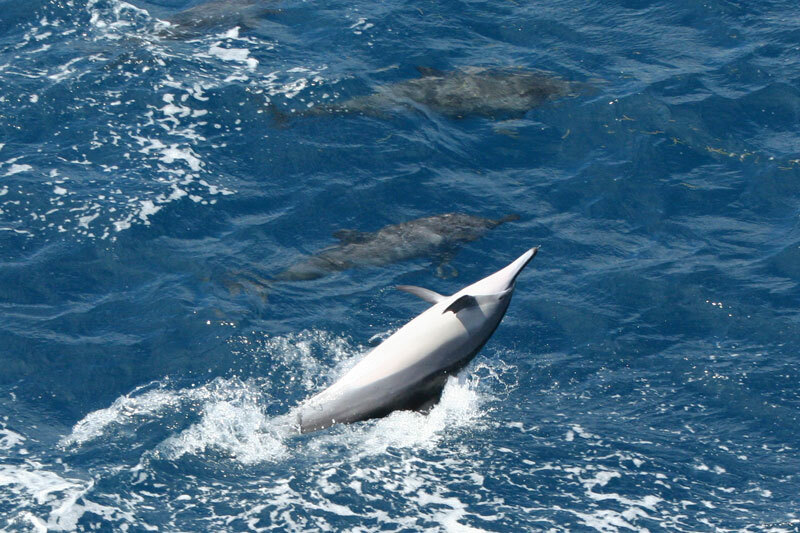 A large number of boats can cause accidents and frighten the dolphins. We guarantee the dolphins! If, for any reasons, there are no dolphins, we will postpone or refund 100% of the trip!